Alcohol is a toxic substance. Any toxic substance that you ingest can have an adverse effect on your health. You can heal your body from the damage that was done to it by alcohol by feeding it the right foods. There are several healthy foods that you need to include in your diet if you are recovering from an addiction. Alcohol can deplete the amount of potassium and magnesium that you have in your body. Potassium and magnesium are important electrolytes because they help regulate your heartbeat. They also help your nerves and muscles function properly. 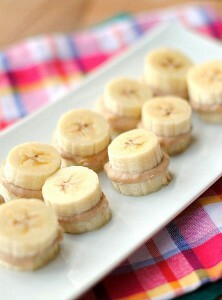 Bananas are a great source of magnesium and potassium. You can have a banana with your cereal or oatmeal. You can also have a banana as a snack. Alcohol can deplete the good bacteria in your gut. This can lead to digestive issues such as diarrhea and constipation. Yogurt is an abundant source of probiotics, which support your gut health. Probiotics will allow your gut to function normally. In order for you to recover properly, you have to be able to control the way that you respond to stress and anxiety. Omega 3 fatty acids, which are found in salmon and other types of fish, has been shown to have a calming effect. Studies have shown that people who eat fish are less likely to have depression and anxiety. You can supply yourself with the right amount of omega 3 fatty acids by eating fish twice a week. You can also take a fish oil supplement. Blueberries are a great source of antioxidants. Free radical damage increases when you drink alcohol. You can neutralize the effects of free radicals by eating more antioxidants. Blueberries can also boost your immune system. Alcohol has a tendency to weaken your immune system. That is why alcoholics are more likely to develop infections. You will need to make sure that you drink plenty of water. Not only does it keep you hydrated but it also helps remove toxins from your body. You should try to drink at least two liters of water per day. If you do not like the taste of plain water, then you can add orange slices or lemons to it. You can also drink chamomile tea. Chamomile tea also has a calming effect. You will need to eat a wide variety of vegetables. Leafy greens, peas, carrots and celery are examples of some of the vegetables that you can eat. Many alcohol addicts are malnourished because alcohol makes it more difficult for the body to absorb nutrients. You can replenish the lost nutrients by eating more fruits and vegetables. Vegetables have many health benefits. They can boost your immune system. They can protect your organs and cells. They can also improve skin and hair health, which also has a tendency to suffer when a person has a drug or alcohol addiction. There are several reasons that many people continue to crave alcohol. One of those reasons is that people crave alcohol is because many alcoholic drinks are high in sugar. Blood sugar levels drop after the effects of the alcohol wear off. That is why many people keep drinking it. Blood sugar spikes can be prevented by eating complex carbohydrates instead of simple carbohydrates. Potatoes are a great source of complex carbohydrates. They can help you fight sugar cravings. Potatoes are also a great source of fiber. When you eat fiber, you get full faster. It is best to eat potatoes in their whole form instead of juicing them. Eating potatoes in their whole form slows down the release of sugar. For more information on drug addiction, have a look at The Recovery Village website.